Asian ginseng, officially known as Panax Ginseng, is one of the most famous and valued herbs used by mankind. Ginseng is an energy tonic that helps support the human energy system by promoting the production of Qi. It is therefore termed a Qi tonic. It has been shown to be tonifying to both the central nervous system function and to the endocrine system function. It is the primary Qi tonic of Chinese tonic herbalism. Simultaneously, it helps to calm the nerves and lift the human spirit. Ginseng helps a person to adapt to all kinds of challenging situations, promotes endurance and enhances resilience under stressful conditions. By aiding in our ability to adapt appropriately to varying conditions, it helps us survive and even thrive under otherwise challenging circumstances. 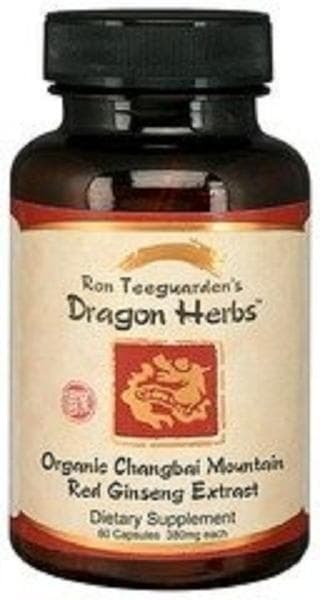 It has thus been termed an "adaptogenic" substance by scientific researchers. It is also called, more simply, an "adaptogen." Ginseng is also used to tonify digestive and respiratory functions. Ginseng contains many active constituents, the most important being the saponins called ginsenosides. Ginsenosides specifically improve adaptability, and are believed to help build muscle and endurance. Therefore Ginseng is very popular with athletes and those who perform hard physical and mental work. Ginseng also contains polysaccharides that promote healthy immune functioning in humans. There are many varieties of ginseng, all of which have distinct characteristics. Most high quality ginseng is good for men and women alike. Asian ginseng generally has a "warm" energy. This product uses 100% certified Organic Ginseng roots. That in itself is extraordinary for cultivated Ginseng. Ginseng must grow in the ground for at least six years to reach a level of maturity that is beneficial to human health. At six years, Ginseng has produced a full range of fundamental ginsenosides that provide the adaptogenic benefits of ginseng. Ginseng is a small plant with a soft, pulpy root similar to a carrot. Its small size, softness and high nutrition make it a delicious target for insects and fungi. Because cultivated ginseng must survive in high altitude farms for so many years, the vast majority of the ginseng grown in the world is not organically grown. Young ginseng is prone to fungi and especially to nematodes. These agents may not kill the ginseng, but they make the ginseng ugly and distorted, and may stunt its growth. Ginseng farmers naturally want to get the most money they can for tying up their precious mountain fields for many years, so fungicides, pesticides, nematodacides, and so on have been commonly used for growing conventional ginseng (in all countries that produce ginseng, including China, Korea, Canada and the United States). Furthermore, farmers and marketers like the ginseng to be pretty and uniform, and they tend to get more money for ginseng roots that are straight, weigh more and have a standard appearance. So they have often used non-organic fertilizers to boost the growing potential of the ginseng roots. As of right now, more than 99% of the ginseng on the world market is grown non-organically using some chemicals that many of us would consider distasteful. Over twenty years ago, Ron and Yanlin Teeguarden contracted with ginseng farmers on Changbai Mountain in Manchuria to grow "low pesticide" ginseng. The levels of chemicals used to produce this ginseng is just a mere fraction of that of conventional ginseng. Gradually, much of the ginseng was grown using world-class organic methods, but the land was not yet certified. Over the last few years, however, the land upon which Dragon Herbs ginseng has been grown has been certified organic, and now all of Dragon Herbs ginseng has been certified organic except for the wild ginseng, which cannot be certified organic, but which in fact is beyond organic. That means the farm and soil were certified many years prior to harvesting. (approximately ten years ago). The processing facilities were certified about five years ago. Organic ginseng is grown in pure mountain soil, is exposed to no pollutants or chemicals, is grown by organic methods with natural fertilizers, natural pest control, clean water, and with a great deal of attention and care. 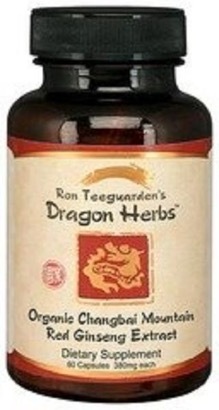 Dragon herbs organic red ginseng has been certified organic by ecocert™ based on standards set by usda. 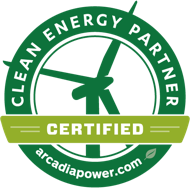 Ecocert™ certification is the gold standard of organic certification in the world. Ecocert's main mission is organic certification, and they have branches throughout the world. You can be assured that with an Ecocert™ Organic seal, that you are consuming a totally pure product. This was not an easy task with a plant that must grow in semi-wild mountain soil for more than six years, nearly two miles above sea level in Manchuria. But as always with organically grown and wild herbs, the difference from conventionally grown herbs is significant on many levels. The extraordinary rich aroma and flavor of Dragon Herbs Organic Changbai Mountain Red Ginseng tells it all! Ingredients: usda organic changbai mountain red ginseng extract. Usage: Take 3 capsules, 2 times per day or as directed by a healthcare professional. Usda organic changbai mountain red ginseng extract.